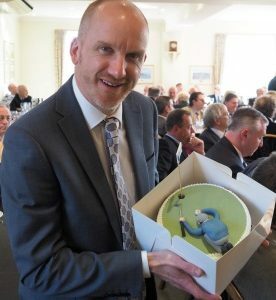 We are delighted that the 2017 Citizens Advice Surrey Heath Golf Day was another successful event, helped by a blue sky and sunshine – not something you can always guarantee in April. 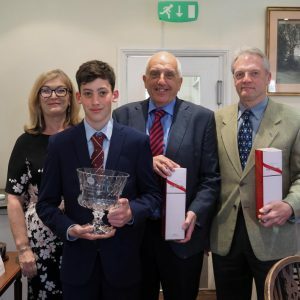 It was held again at the prestigious Berkshire Golf Club but this time the 24 teams of golfers played the Blue Course after last year playing the Red Course. Golfers enjoyed the magnificent setting with the favourable conditions contributing to some high team scores. After the golf, teams enjoyed a drink on the terrace in the sunshine before taking their seats for a fabulous meal in Berkshire’s clubhouse. Once everyone had eaten their fill, players and guests generously took part in a very entertaining Charity Auction, expertly managed by Mark Head. 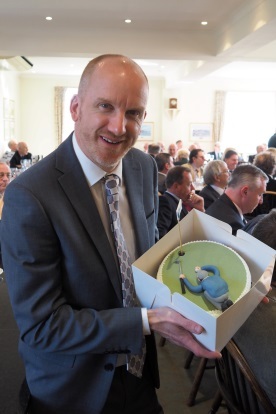 Auction lots included golf rounds with celebrities, use of a holiday apartment, a golf fitness programme and an occasion cake every month for 6 months. Kate Sawdy, in one of her first duties as the new Citizens Advice Surrey Heath Chief Executive, presented the prizes. 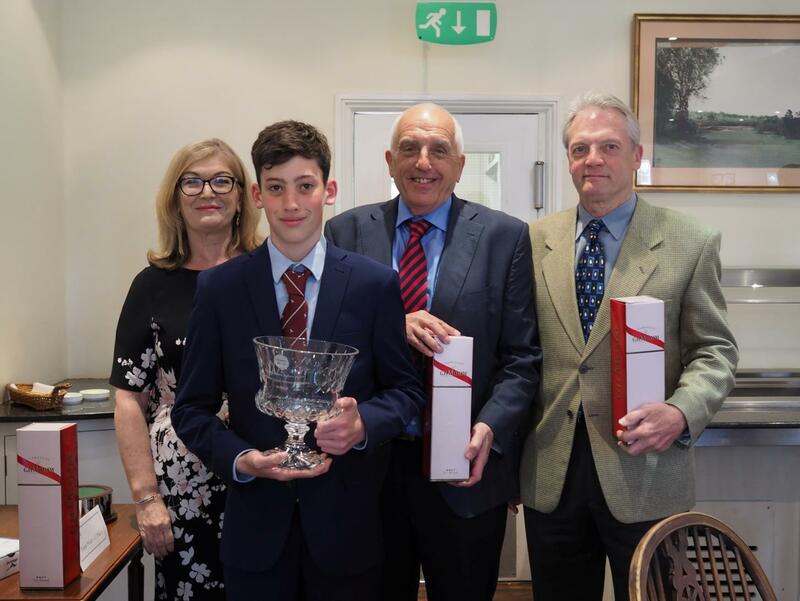 The winning team were 2016 Champs, retaining the Robin Taylor Memorial Trophy they won last year. Thanks go to all our sponsors who contributed so generously to making the day such a success including Seymours Estate Agents, HC Wealth Management, Kircher Building Services and Lady Mary and Nick Parkinson. Barclays Bank once again was the prime sponsor and deserves special thanks, not only for their financial contribution, but also for providing an enthusiastic team to help run the day. Monies raised, (approaching £10,000), are vital to the work of Citizens Advice Surrey Heath and will be used to support the growing demand for our services from local residents. Citizens Advice Surrey Heath is grateful to all donors, players and the many supporters who made the day so enjoyable and we look forward to next year’s event, the details of which will be announced later this year.